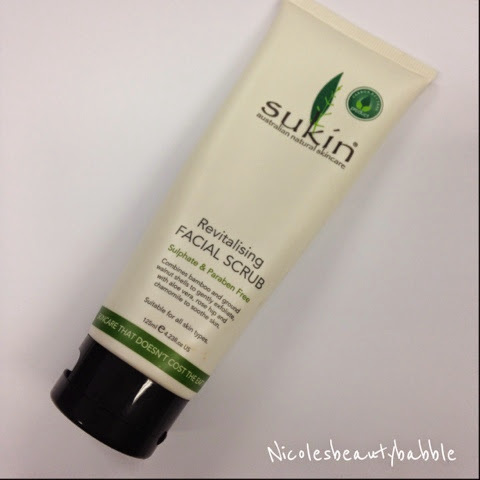 Sukin Revitalising Facial Scrub - I love Sukin products and also love a good face scrub, this scrub is gentle it does not have huge scrubby bits in it so it doesn't feel like your rubbing your skin off, it smells so good and you only need a pea sized amount. I have been using this scrub about twice a week and it leaves my skin feeling fresh and clean. 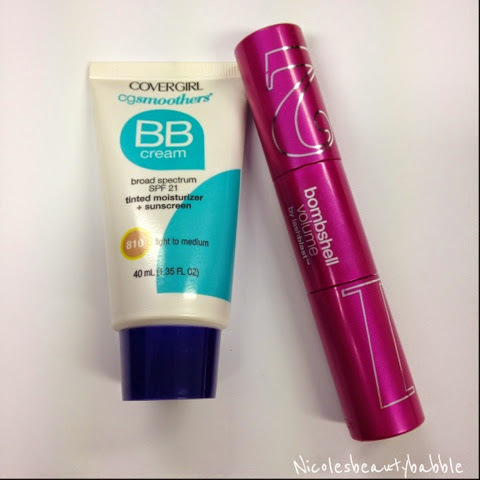 COVERGIRL CG Smoothers BB Cream - I will not go into huge detail about this BB Cream as I have done a full review on it here. Overall I have been loving this BB cream this month. 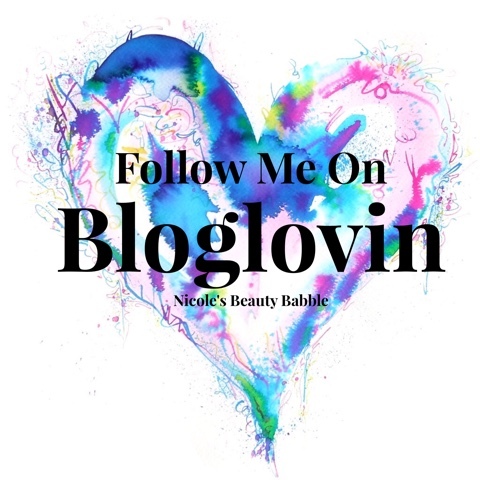 COVERGIRL Bombshell Volume Mascara* - Another COVERGIRL product I have been loving this month is the Bombshell mascara I have been pretty much wearing this baby all month. 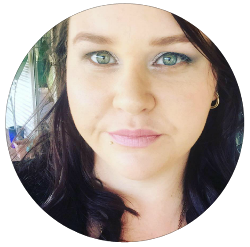 I love the way it lengthens and adds volume to my lashes without any clumping. It is a two step process - Step One: Apply the extreme volume basecoat. Step Two: Finish with the intensifying top coat. The Body Shop Honey Bronzer - Now I'm not really a bronzer person as it has always scarred me but I bought this baby awhile ago and have only now gained some confidence to give it ago and I have been loving it. 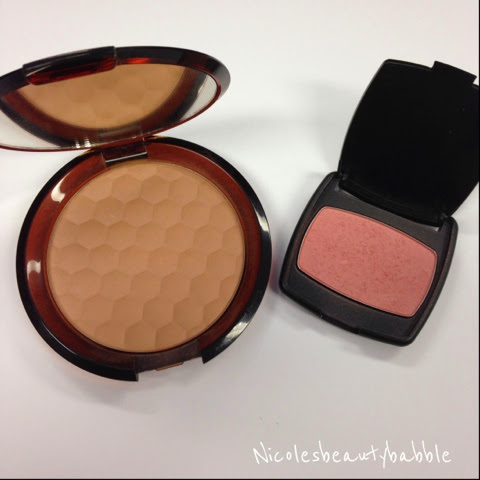 The bronzer is light, Matte and so easy to apply. I think if you are like me and scarred of bronzer or are just looking for a good matter bronzer check this one out. BareMinerals Blush in READY - I got this little sample blush in a pack I bought at Christmas I think, I used it a few times then I moved on to something else. Just recently I have pulled this baby out and have started wearing it a lot more and fell back in love. It is a great shade and so easy to wear and apply. L'Oreal Paris Colour Riche Extraordinaire in Molto Mauve - This liquid lipstick is fantastic, the colour is great for everyday use and it lasts a fair amount of time it doesn't dry out, the colour payoff is perfect, nice and glossy and so creamy. If you have not checked these babies out yet get on to it, I need to get a few more of these. 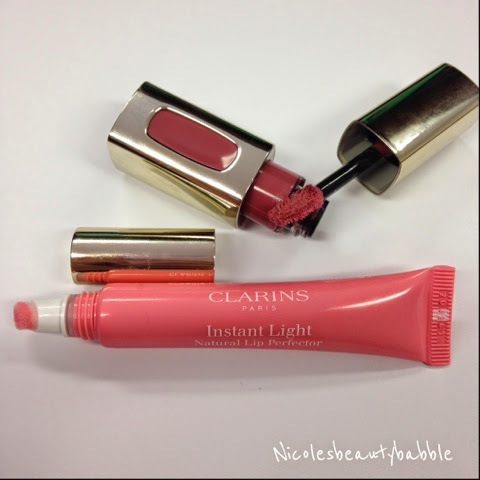 Clarins Instant Light Natural Lip Perfector in 01 - I have had this lip gloss for a while but have neglected it, so I picked it up again this month and rediscovered why I loved it in the first place. It is a gorgeous light pink that goes with everything very creamy and smells so good I just want to eat it. I really want to get more of these and it just adds that nice sheer colour and glossy look to your lips when you want it. 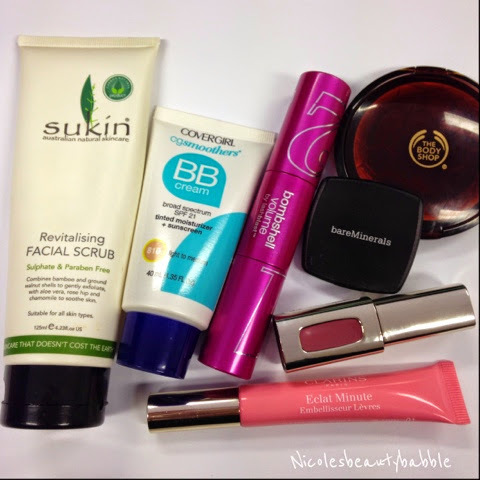 What were your August Favourites? Leave me a comment down below.